Susie Honeyman was born in Glasgow. As a child she played the piano every Sunday at Bible Class. She moved to Bristol at the age of 13, where her fellow classmates were Gareth Sagar and Bruce Smith of the Pop Group - later of Rip Rig and Panic - and Jeremy Valentine and Mike Fewings of the Cortinas. She saw the Ramones in Freshers’ Week at Edinburgh University where she studied Music. One day in 1981 Simon Best, old family friend and Fast Product producer, rang her up and asked her to play on the Fire Engines’ single ‘Candyskin’. After that, the thought of playing rank and file violin in a provincial orchestra lost its appeal. When her first child was born in 1993 Susie reduced her touring schedule. She continued to record with the band while playing as many shows as possible. Other musical commitments in recent years include an improvising trio with double bassist Julia Doyle and drummer Dave Fowler, the fabulous Senegalese singer/songwriter Nuru Kane and the ‘blackened future folk’ of Little Sparta. 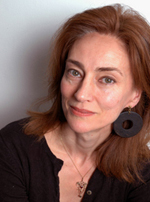 For many years she has collaborated with composer Giles Perring. In 2004 Susie and Giles Perring wrote ‘Marsh Music’ a piece incorporating tape loops of traffic from the A13 which formed part of a major mixed exhibition by the Architecture Foundation in collaboration with Jock McFadyen, Helena Ben Zenou, Iain Sinclair and Chris Petit. The following year the Wapping Project joined the Jerwood Foundation and Jazz on Three to commission a piece of music from Honeyman and Perring to accompany the disturbing monumental photographs of Annabel Elgar. Susie also works as agent for her husband, painter Jock McFadyen, curating and publishing, and runs The Grey Gallery. As well as Peel sessions with the Ex, Eton Crop and the Mekons, Susie has recorded and broadcast with countless musicians over the years: recent broadcasts include Top of the Pops 2 with The Mekons (2004), a documentary on Vivian Stanshall (2004), Sky News with Giles Perring (2004), and live sessions on Radio London’s Charlie Gillett show, The World Service and Resonance FM with the Senegalese singer, Nuru Kane (Jan/Feb 2005), and Resonance FM with Jock McFadyen and with Little Sparta (2005, 2006, 2007). 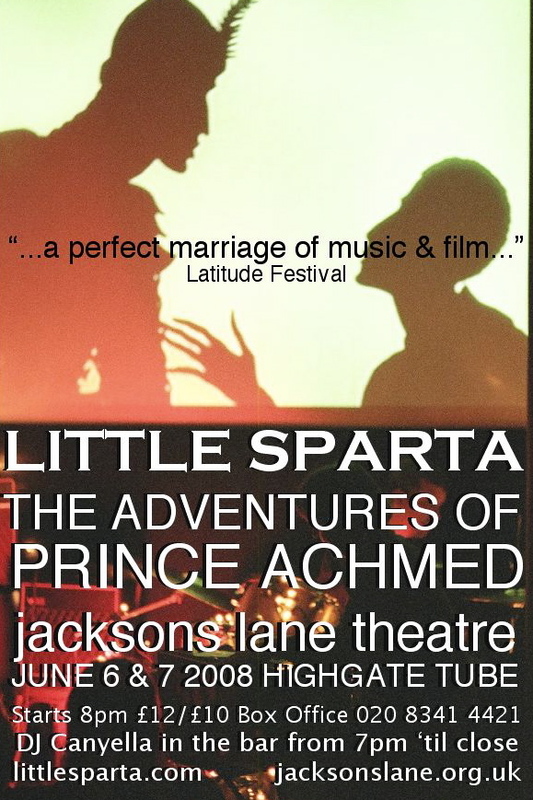 Little Sparta will be performing their own music to accompany the first feature-length animated film 'The Adventures of Prince Achmed' created in 1926 by Lotte Reineger. The film is based on tales from the Arabian nights and is lovingly crafted in Reineger's unique style of silhouette animation.